Our new home, the Kudos studio gave us the opportunity to create a very special place to work and collaborate together as a team. 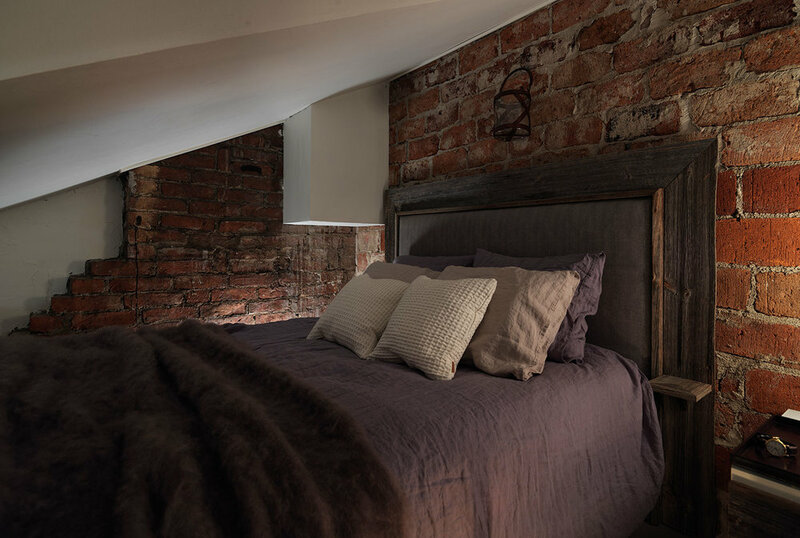 Located in central Turku and built in the early 1900s as a sausage factory, the original warehouse was built to a very high standard, with beautiful original brickwork, imposing steel industrial doors and full-height windows. 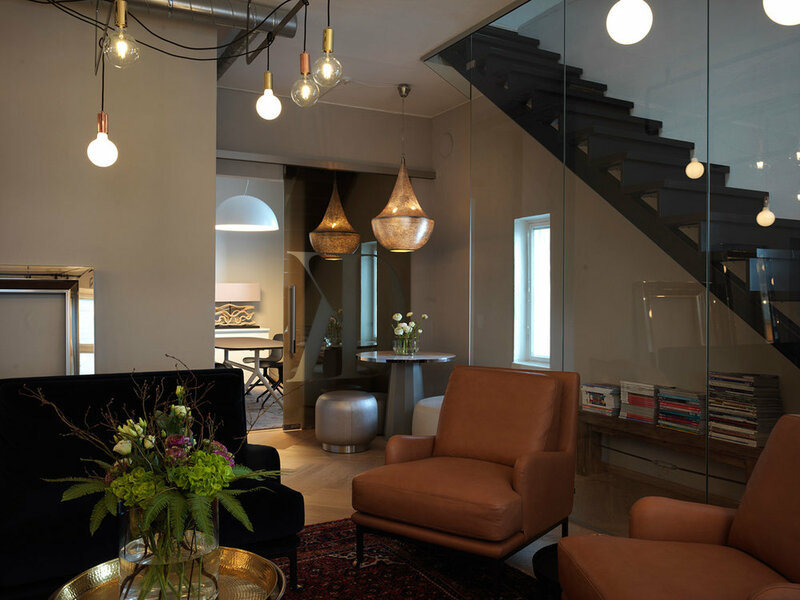 The newly renovated building features 4 floors with a main studio space on the ground floor, with a basement below designated for sample materials, textiles, fixtures and fittings, which includes a room marble and tiles. On the higher levels of the building is a showroom floor, with a main conference room, meeting space and event venue where we gather for meetings, creative development and social events. 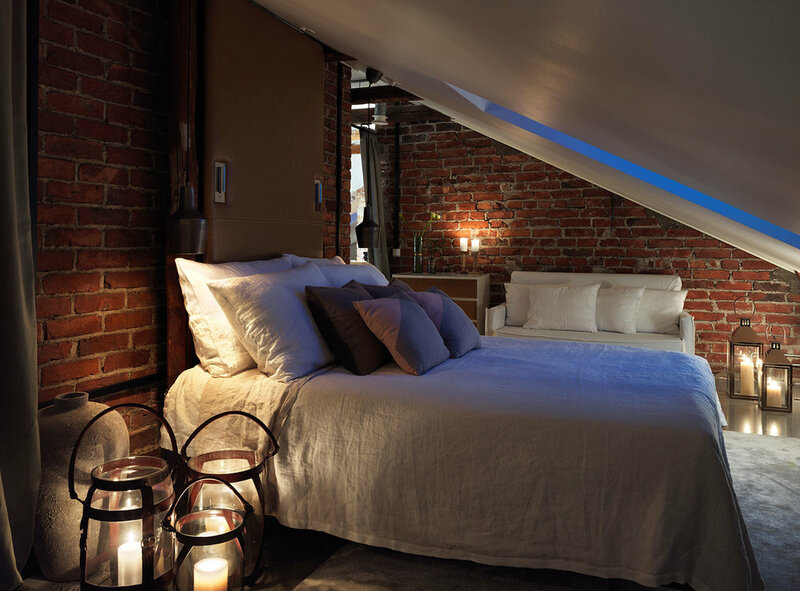 On the top floor we created a relaxed apartment, which is also used for meetings, parties and overnight guests. Connecting the building is a central staircase, which features a lighting installation designed by Kudos. 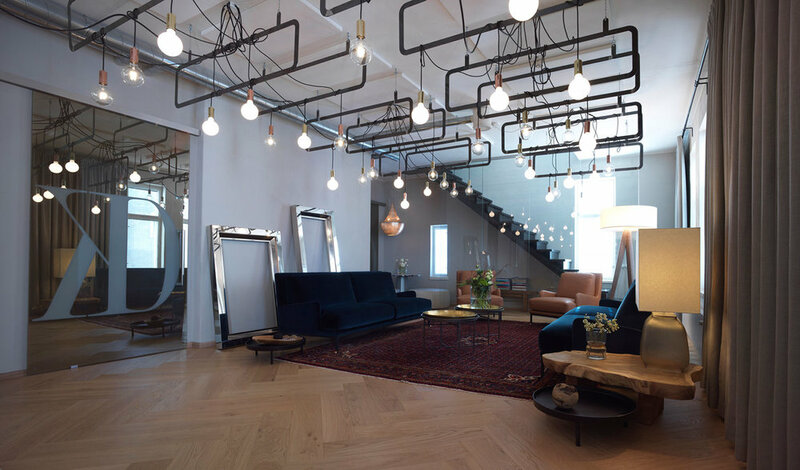 The interior design retains all the building's original industrial features of the building – and combines them with a richly detailed and uplifting contemporary interior design scheme – together with specially designed lighting features, furniture and architectural features, designed to enhance the interior and create a sense of space and style. 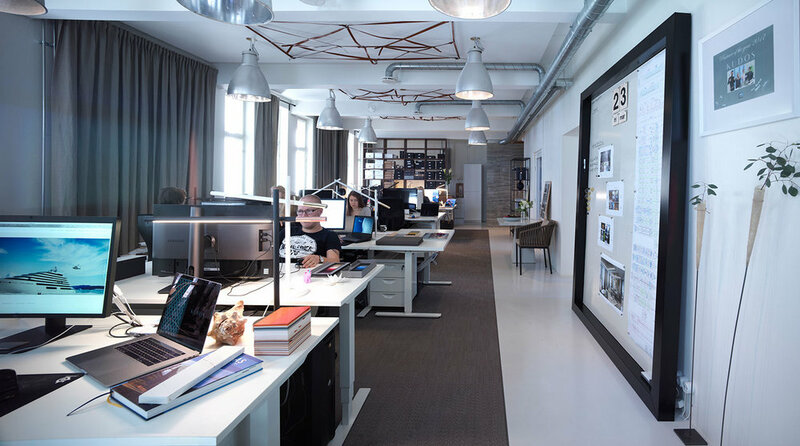 With creative workspaces – particularly where the output has to be high quality and time efficient – it's essential to create an uplifting and inspiring atmosphere, where the design process runs smoothly, with deep resources of sample materials, references and technical information easily at hand. The result is an inspiring and efficient studio environment for every stage of the design process – a place to engage with clients and suppliers in an uplifting environment – and outside of work a place to rejuvenate, host events and for our team to spend valuable free time together. If you'd like to visit the new Kudos studio please get in contact. Situated by a guest harbour on the Turku riverside, Nooa is a new contemporary restaurant and bar, with a café and guest harbour services. 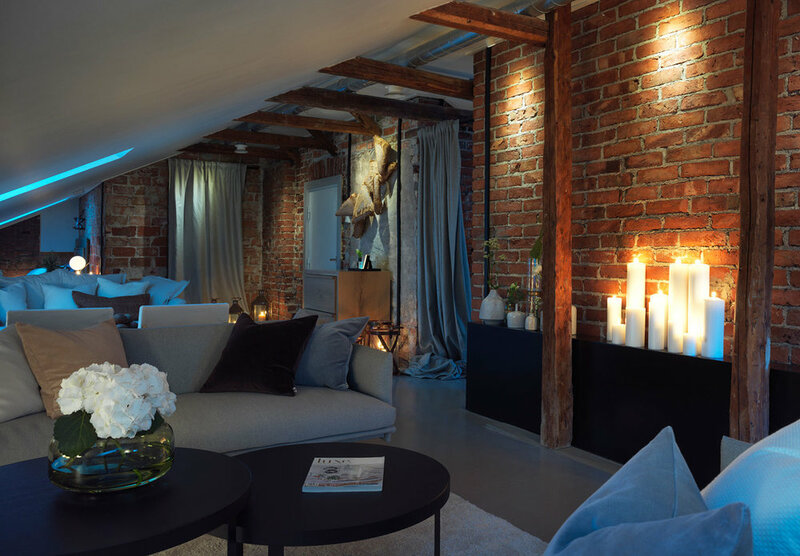 Our first project in Finland, Kudos provided all aspects of the interior design for all areas, inside and outdoor, in addition to special lighting, materials, custom-designed fixtures and furniture. Nooa’s extensive outdoor areas include a roof terrace, with breath-taking views, as well as a pergola and waterfront terraces, which extends onto a jetty and along the front of the restaurant. Inside is an open kitchen, two dining rooms and four restrooms each different from the other. The interior concept is influenced by the natural elements around the restaurant – shimmering water, bright beams of sunlight, and reflections of the marina and boats which sail by. The design scheme is striking yet calm. 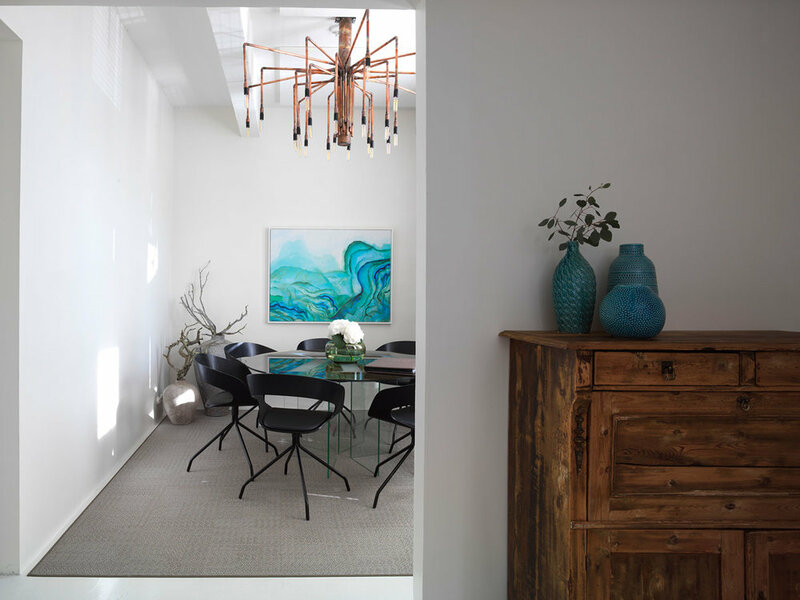 The modern interior plays with the contrast of cold and warm colours, with blue wall tones and black-stained metal elements contrasting with warm wooden battens and furniture to create an atmosphere, both industrial and welcoming. Together with greenery, vases, colourful art deco cushions and cozy blankets to add a final touch to indoor and outdoor areas. 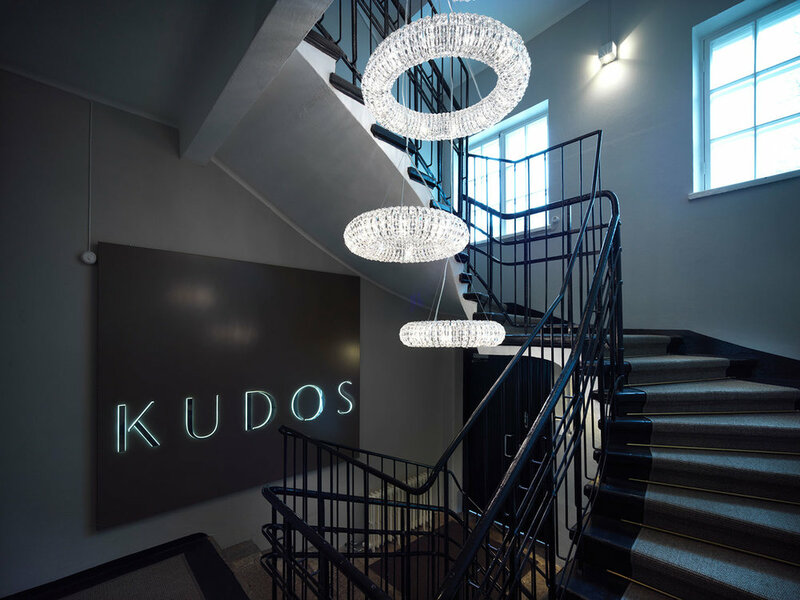 Kudos created the interior for the practicalities of a restaurant operation, factoring in cleaning and maintenance, and providing a timeless interior that would be user-friendly even in the busiest of hours. This also extended into a narrow internal walkway, where designing space-saving door entrances ensured safe walking through the corridor. The central open kitchen enhanced the interaction between the chefs and customers dining in the restaurant. To extend the open aspect, we positioned stools on the kitchen counter and designed the seating to give customers a clear view into the open kitchen. In addition we designed each of the four restrooms differently to delight and surprise visitors. 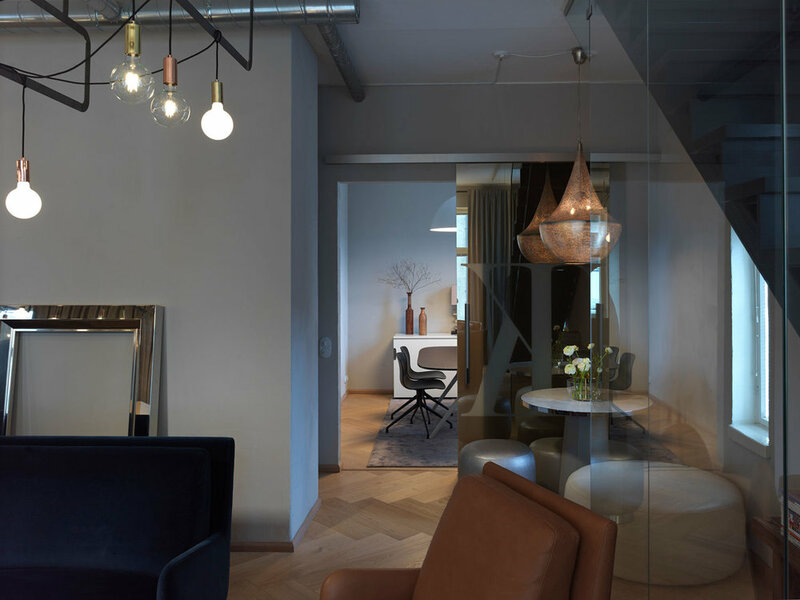 It was important for us to use local Finnish craftsmen and the design process included the bespoke manufacture by local carpenters, metalsmiths, glassblowers and tailors of custom-designed elements by Kudos. The interior also features extensively furniture and products designed in Finland. 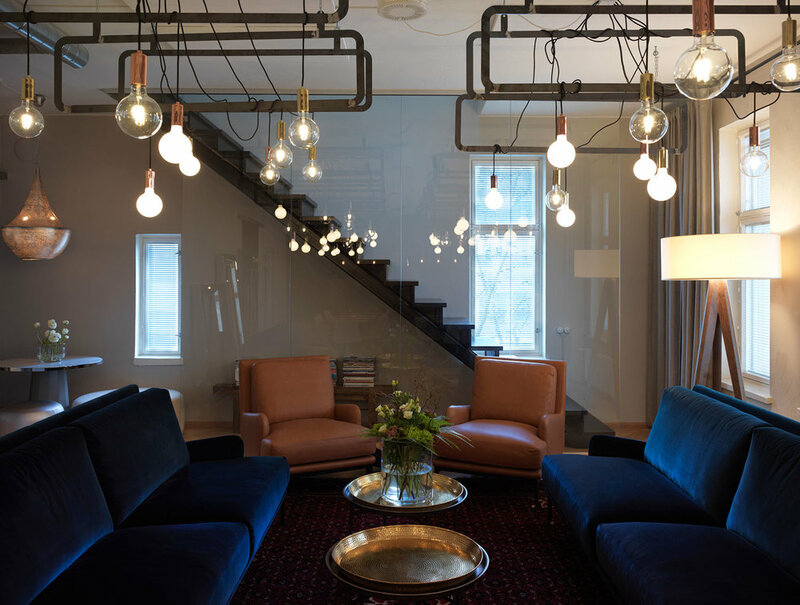 Through these collaborations the interior embraces modern Scandinavian style with a personal twist.